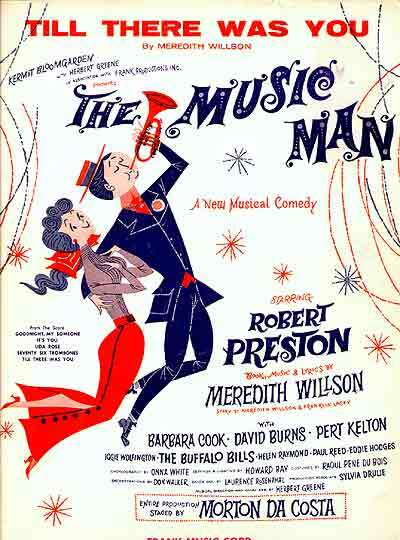 The Music Man is a musical with book, music, and lyrics by Meredith Willson, based on a story by Willson and Franklin Lacey. 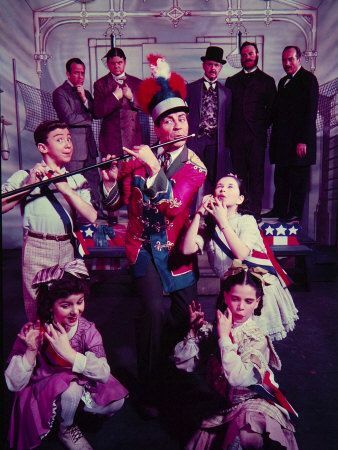 The plot concerns con man Harold Hill, who poses as a boys’ band organizer and leader and sells band instruments and uniforms to naive townsfolk before skipping town with the cash. In River City, Iowa, prim librarian and piano teacher Marian Paroo sees through him, but when Hill helps her younger brother overcome his fear of social interactions due to his lisp, Marian begins to fall in love with Harold. Harold, in turn falling for Marian, risks being caught to win her. In 1957, the show became a hit on Broadway, winning five Tony Awards, including Best Musical, and running for 1,375 performances. 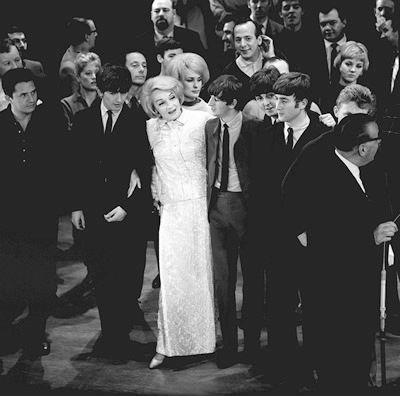 The cast album won the first Grammy Award for “Best Original Cast Album”. The show’s success led to revivals and a popular 1962 film adaptation and a 2003 television remake. It frequently is produced by both professional and amateur theater companies. The original cast recording was released by Capitol Records on January 20, 1958 in stereophonic & monaural versions and held the #1 spot on the Billboard charts for twelve weeks, remaining on the charts for a total of 245 weeks. The cast album was awarded “Best Original Cast Album” at the first Grammy Awards ceremony in 1958 and was inducted in 1998 as a Grammy Hall of Fame Award winner. In 1959, Anita Bryant recorded a single which reached #30 on the Billboard Hot 100 and #14 on the Cashbox Top 100. In March 1961, “Till There Was You” was a minor hit in the UK for Peggy Lee. Etta Jones recorded a version for her 1961 album, Something Nice. In 1962, an instrumental version of Meredith Willson’s song by Valjean was also popular. 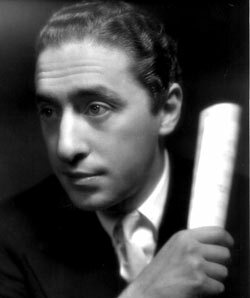 In 1963, Sergio Franchi recorded this song on his RCA Victor Red Seal album Broadway… I Love You. “Till There Was You” was a minor hit in the UK for Peggy Lee in March 1961. 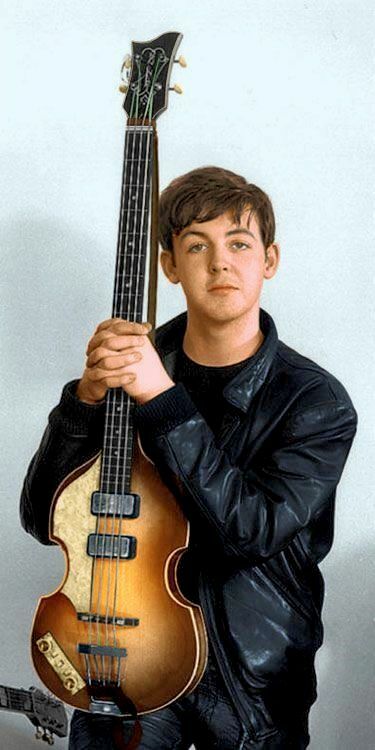 Paul McCartney was introduced to her music by his older cousin, Bett Robbins, who would occasionally baby-sit the two McCartney brothers. 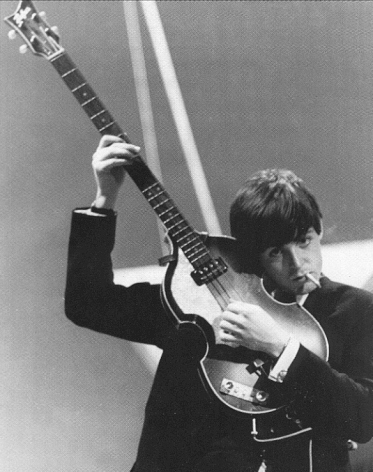 McCartney said: “I had no idea until much later that it was from The Music Man.” “Till There Was You” was part of the Beatles’ repertoire in 1962 and performed at the Star Club in Hamburg. 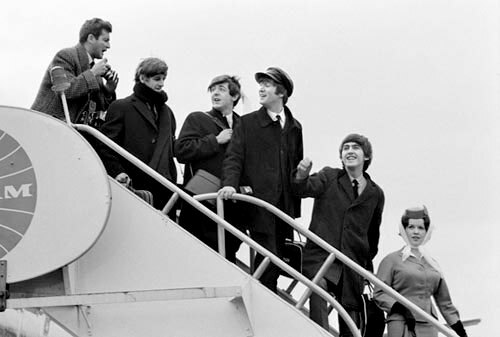 It became illustrative of the Beatles’ versatility, proving they could appeal to all sections of an audience, moving easily from ballads to rock and roll, as in their appearance on 4 November 1963 at the Royal Variety Performance when they followed this song with “Twist and Shout”. 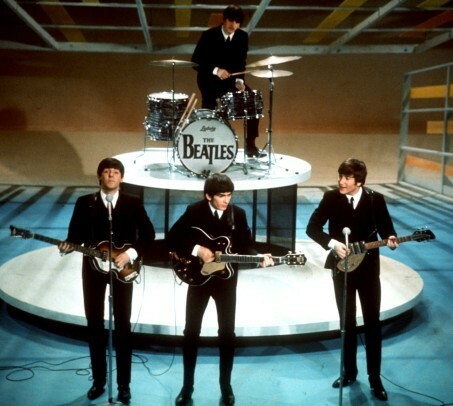 The Beatles had previously performed “Till There Was You” as part of their failed audition for Decca Records in London on 1 January 1962, and it was the second of five the group sang during their first appearance on The Ed Sullivan Show on 9 February 1964. 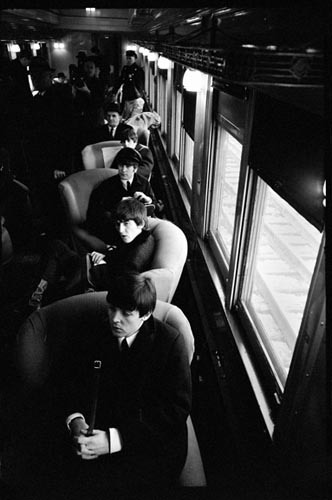 With the Beatles, track 6 — The album was recorded 18 July-23 October 1963, EMI Studios, London, and released 22 November 1963. 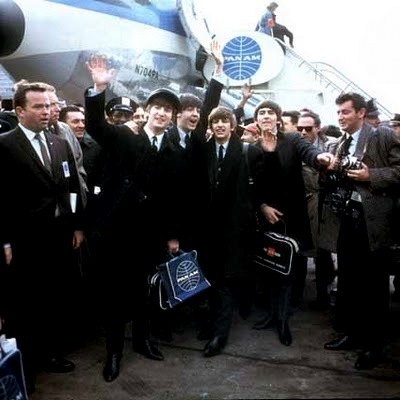 In the US, the song appeared on Meet the Beatles, released 20 January 1964. I believe this is a stereo remaster. 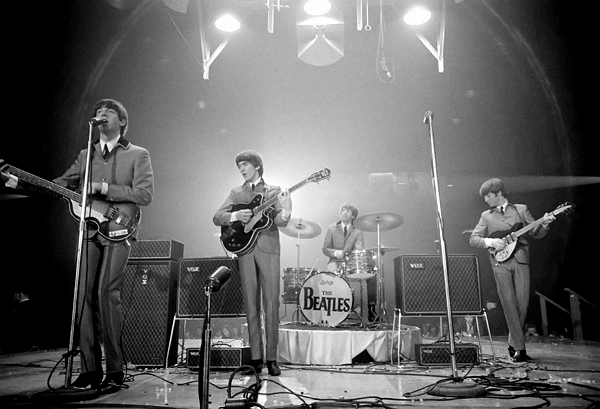 (below) When the Beatles return for the second segment of their Ed Sullivan Show appearance on 7 Feb 1964, the large arrow stage props seen in the photos above, and in the clip of Till There Was You, have been removed. The second stage design features metallic-looking framework structures, with oddly-placed wooden planks across them, above and on each side of the band, with Ringo again upon his own double-level circular platform. 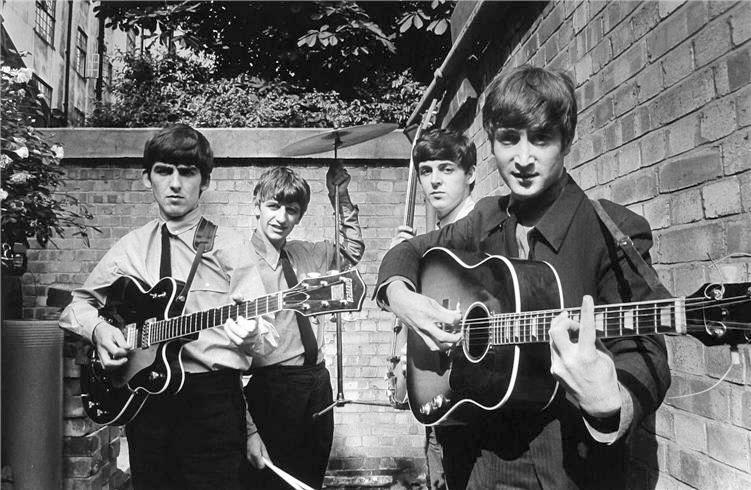 * “…the only Broadway tune that the Beatles ever recorded.” — I don’t know if this is true. 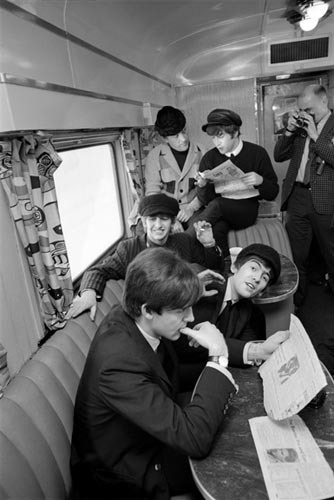 While most of the covers recorded by the Beatles were of 1950s and early 1960s rock ‘n’ roll, R&B, and vocal group originals, they also covered of a number of songs from the pre-rock ‘n’ roll Songbook era. Some of these had been regular and popular features of their stage sets in Liverpool and Hamburg. 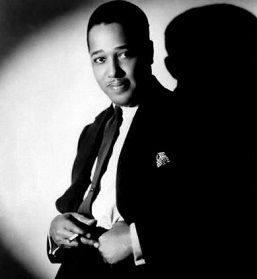 Among them were, “The Sheik of Araby” (1921), “Ain’t She Sweet” (1927), and “Bésame Mucho” (1940). 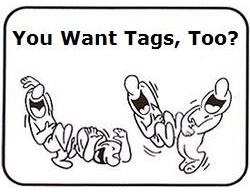 None of the three just mentioned originated in Broadway shows. On Monday, January 1, 1962 the Beatles recorded a rocking version of the standard “September in the Rain” during their Decca audition. “September in the Rain” had been introduced by James Melton in the 1937 film Melody for Two. 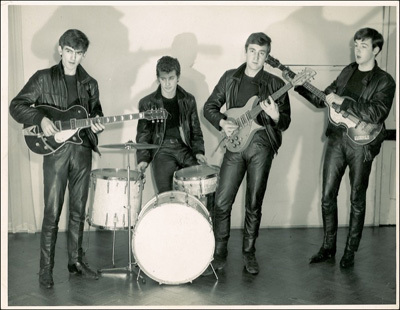 At the Star Club in Hamburg, Germany in 1962, the band performed the standard “I Remember You,” which had been published in 1941 and introduced in the 1942 musical film The Fleet’s In.